The bustling city of 7 million people is a melting pot of both old and new China. Many visitors vacation in Hong Kong to be among the hustle and bustle of a large city and to experience its diverse blend of cultures. Wander the city and you’ll stumble upon a 2,000-year-old temple on one street, and an ultra-modern high-rise building around the corner. But the best-kept secret is what lies beyond the densely populated urban area: largely an underdeveloped mountainous terrain and forest. Take the tram to the highest point of Victoria Peak for unparalleled views of green hillsides contrasting with the bustling Hong Kong habor below. From traditional to modern, from big city to countryside, there’s something for everyone. 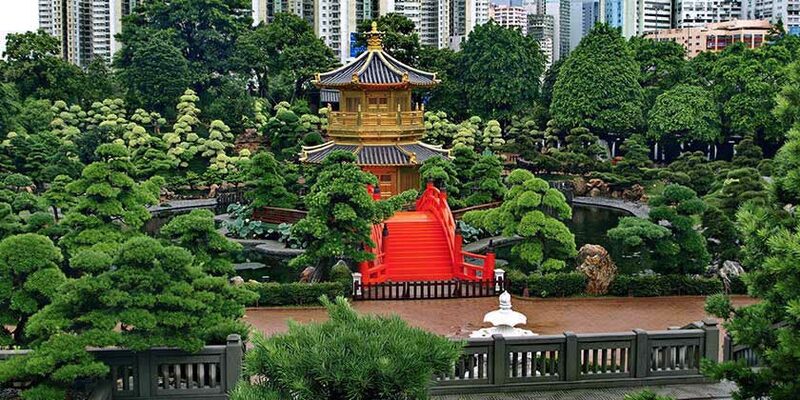 Pick one of the many Hong Kong flights with United Airlines® flights and start your getaway today. Maximize savings during your stay in Hong Kong, with the Hong Kong Card and pocket-sized guide book. Experience the magic of Hong Kong at night with an evening cruise on Hong Kong's dazzling Victoria Harbour. Hop aboard the open-top, double-decker bus at any of the 23 stops around Hong Kong to begin your hop-on hop-off sightseeing tour. Experience the magic of one of the most spectacular oceanariums in the world - Ocean Park Hong Kong. There is no better way to immerse in rich history and culture than with a tour where Hong Kong's distinct heritage has been preserved and restored. Discover Hong Kong's colonial past and cosmopolitan present on this walking tour through the city streets. Resort info: Conveniently located in the heart of the entertainment, shopping and commercial district, making it the choice hotel of business and leisure travelers. Resort info: Located close to the harbour, in the North Point District of Hong Kong Island, right next to the seemingly endless shopping options of Causeway Bay. Resort info: An upscale, urban design hotel centrally located in bustling Tsim Sha Tsui, Kowloon's energetic shopping and entertainment hub. Resort info: Conveniently located between Causeway Bay shopping and Wan Chai business area. Only an 8-minute walk to Time Square mega shopping mall and the subway. Resort info: This popular deluxe hotel is located on the southern tip of the Kowloon peninsula at Tsim Sha Tsui. Resort info: Internationally renowned, this hotel offers leisure travelers the highest levels of service in a friendly, yet elegant five-star hotel environment. Resort info: Ideally positioned, the Harbour Grand Hong Kong offers 828 rooms each with its own unobstructed view of the world renowned Victoria Harbour. Resort info: Make Holiday Inn Golden Mile Hong Kong your stylish base in the heart of Kowloon's lively Tsim Sha Tsui district.